Nelson Search and Rescue with the help of South Columbia Search and Rescue and Kaslo were called out by the RCMP Jan 16th 2016 for another rescue in the 5 Mile drainage near Wh2o Ski Resort. A Personal Location Beacon signal was received by the Joint Rescue Coordination Center in Victoria on Saturday evening. The distress signal was transferred to RCMP and then NSAR to respond to the 5 Mile Drainage. As a PLB is a registered device the RCMP were able to trace the device to a group of 4 backcountry skiers and through some local investigation it was discovered that the group was overdue and a possible location was known. Due to darkness, avalanche danger and the group was well equipped, a team was deployed to drive the Whitewater road through the night as an attractant and to aid the subjects if they made it out to the road in the night. A helicopter rescue team as well as ground crews were deployed at first light to check the possible location of the PLB signal. The team did several passes over the thickly forested valley with the helicopter without success but some of the crew could smell “wood smoke” in an area of thick trees in the helicopter. 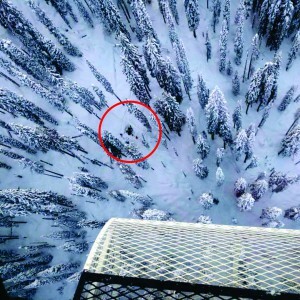 With further investigation in the area the missing group was discovered deep in the valley bottom in a makeshift camp. They had built a snow cave for shelter and had a fire going which they used to signal the helicopter. The ground team was able to reach them by 09:11am and found them cold and tired but otherwise in good spirits. Despite knowing the area well, they had become disoriented in poor visibility and had skied themselves in a circle before they realized they were in trouble and hit their PLB button for help. The subjects were taken to a landing site in the valley and flown out to safety. This is the third rescue in the 5 Mile Valley this year and the area has been a frequent site of rescues in years past due to the terrain and structure of the valley it has become common for even for well-equipped and experienced backcountry enthusiasts to become lost in the area. NSAR will be exploring the possibility of having signage installed to aid in navigation for those enjoying our beloved backcountry in this area. Jan 6, 2016 NSAR has been called out to assist Rossland and South Columbia SAR with a backcountry callout of a local cat ski company. one of the companies cat operators found himself in an unknown medical distress and called BCEHS for help. BCEHS called out SAR to assist with the evacuation as the location was remote. All SAR teams were stood down as an employee of the company was able to reach the driver and assist in driving the subject out to medical services before SAR could arrive. 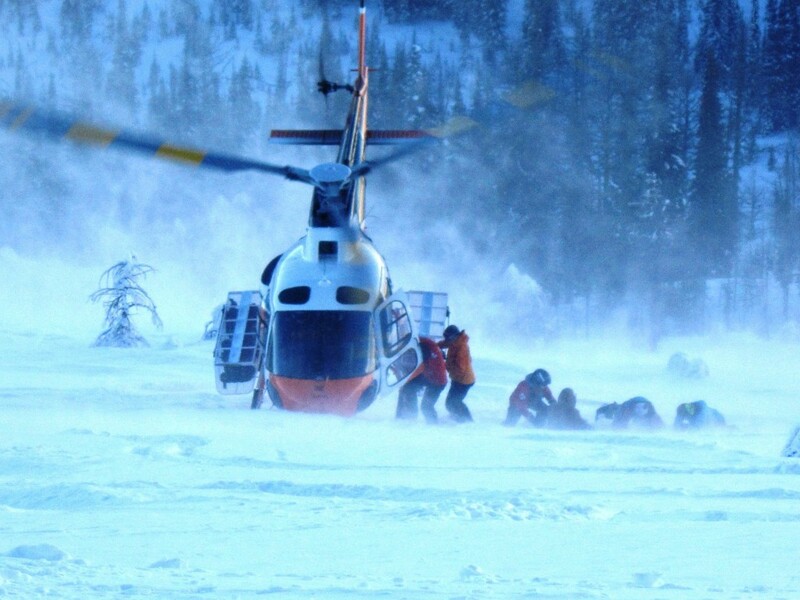 Jan 2, 2016 Nelson SAR was called out in early afternoon for a medical evacuation from 5 mile basin located behind Wh2o Ski Hill. A well-equipped ski group was enjoying the area and the good conditions when a member of the group suffered a fall resulting in a knee injury. Due to the location and difficulty to get their injured member out of the valley before dark, Search and Rescue was called to assist. NSAR accessed the area by helicopter to retrieve the subject. The area was unsuitable for a landing so the team performed a hover entry of one subject and transported to BCEHS at the Nelson airport. This group was from out of country and they did try to evacuate the subject on their own fearing a rescue bill. Before things got out of hand they were assisted by a local who educated them that in Canada such rescues are “no charge”. Nelson SAR and BC SAR Association would like the public to know that we do not charge for rescue in Canada. This time of year darkness comes early and situations in the backcountry can compound quickly. If you are in need of help, make the call right away. Always error on the side of safety.